As Gov. 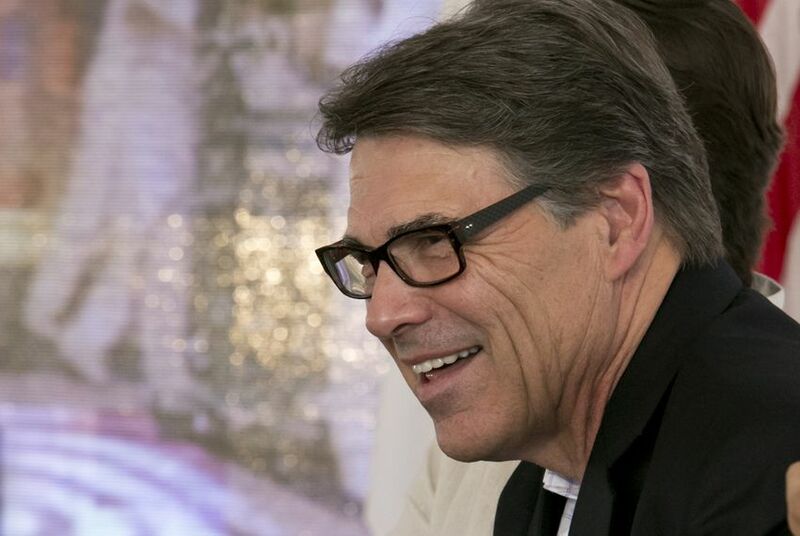 Rick Perry visits Maryland in his latest effort to recruit businesses to relocate to Texas, a Washington, D.C.-based group is taking aim at the governor’s trips and raising questions over how they are funded. As Gov. Rick Perry visits Maryland in his latest effort to recruit businesses to relocate to Texas, a Washington, D.C.-based group is taking aim at what it calls the governor’s “piracy trips,” raising questions over how they are funded. A report by Good Jobs First says that despite the governor's office’s statements that state funds are not used for the trips, local sales tax funding is indeed used to cover travel expenses and advertising related to the trips. "Texas taxpayers have a right to know about the public funds that partially support TexasOne," said Greg LeRoy, executive director of Good Jobs First. TexasOne, a public-private state partnership, pays for Perry’s trips to other states and has spent almost $1.8 million in advertising this year to promote the governor’s trips, according to Good Jobs First. Its dues-paying members include various local economic development corporations, which are funded by local sales tax dollars. Leading up to Perry’s trip in Maryland, TexasOne spent $500,000 for a media buy in local markets. In response to Good Jobs First's claims, Josh Havens, a spokesman for Perry, reiterated that the governor's trips and advertisements are paid for by TexasOne and that no state tax dollars are used to cover expenses. "You will need to talk to the individual communities on how each entity pays for their membership in TexasOne," Havens said. By state law, cities are allowed to use local sales taxes to fund economic development corporations, which in turn can use funds toward research facilities or job development programs aimed at creating or expanding business enterprises, like TexasOne. TexasOne’s top donors include the economic development corporations for cities like Schertz and DeSoto, which have contributed at least $25,000 each, according to TexasOne's 2012 annual report. Donations from other economic development corporations range from $1,000 to $10,000. Perry has made similar recruiting visits to Illinois, California, New York and Missouri, where TexasOne also launched a series of radio and television advertisements slamming the high taxes and poor business climates in those states.